Online Home Based Business Fear? An online home based business will challenge you. There will be times when you don’t know what to do, when you’re worried about making any money at all and when it seems like working harder gets you further behind on every measure of success. These are some of the big fears that anyone starting an online home based business faces and you’ll have to learn to overcome them if you want to succeed. Fear is natural and productive. It can motivate you to work harder, it can make you more creative and it can help you overcome the creeping fatalism to which we are all vulnerable. Being afraid is not being a coward. In fact, ask anyone who has been heroic in their lives and, unless they’re stark raving mad, they’ll tell you that they were most certainly afraid. Cowardice is when fear prevents you from acting. Most of the time, when this type of impairment stops someone from being successful at their own online home based business, it’s because fear took them totally by surprise. It’s not a moral failing; it’s a symptom of being unprepared. First, accept the reality that you will be afraid when you strike out on your own. You’re not giving up security, however. If you’re working a 9-5 right now, you have the illusion of security. They could drop you like a bad habit at any time, so don’t think you’re secure in your job. That illusion, however, is very comforting and hard to give up. Assume that you will be afraid and you’ll be ready to make sure that you don’t become paralyzed with fear when you are frightened a bit. Part of what makes people afraid about starting an online home based business is the fact that they’re worried about the changes that they’ll have to deal with. No more guaranteed weekends off, no more guaranteed salaries and benefits and so forth; all of this can be intimidating. Embrace that change. Remember that an adventure is not really an adventure unless there is real danger. The danger is what makes it worthwhile and exciting and, most importantly, it’s what forces you to grow and believe in yourself. If you’re not taking any risks, you’re just on a sort of carnival ride. There is a lot of value in seeing yourself as capable. When you start your online home based business, think of all the other things you couldn’t do that you attempted and eventually succeeded at. It took time, effort and a willingness to embrace a challenge. Starting a business is no different. You’ll have to learn to really embrace those challenges and to live for those times when you are a bit afraid. Think of fear as a chance to prove yourself. What you’re probably afraid of is failure. If you can get to the point where you’re not afraid of failure and you realize that, from time to time, it will happen, you’ll be ready to become successful on your own terms. Start your own online home based business today, if you delay your decision to start that mean you will delay your rewards. This entry was posted in Blog, Online Home Based Business, Personal Development and tagged home based business, online home based business on September 27, 2011 by Christine Chow. Building multiple income streams is an important and necessary mean for any individual person, but it’s even more so for those with families. For one person to rely on a sole income stream can be dangerous, but to have multiple people relying on just one or two income streams is a terrible idea for the financial safety and well-being of your family. What Does It Mean to Build Multiple Income Streams? An income stream is anything that gives you a regular flow of money. It could be a business, a job, or investments – as long as it’s bringing in money on a consistent basis, it’s an income stream. Most families only have one or two income streams – the job of the parent or parents that work outside the home. Building multiple income streams means increasing the ways that money is coming in, until you have five or six different ways that you’re earning money on a regular basis. Why is Building Multiple Income Streams Important? 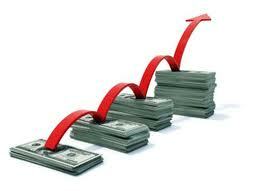 The main benefit of building multiple income streams is that it gives you added financial strength and flexibility. Imagine a family that relies on one income stream – now, what happens if that income stream gets reduced by 50%, or disappears entirely? Relying solely on one income stream would be like building a table with only one leg – it’s possible, but not necessarily a good idea, and adding more legs will certainly make the table more stable. If a family is relying on three or four income streams instead of one, then it’s not a big deal if something happens to one of those income streams – the focus can be put on increasing the income from the other streams and eventually creating a new income stream to replace the one that was lost. Most people are only months away from bankruptcy, lacking the savings that it would take to survive if something did happen to their one income stream. Having multiple income streams, even if the other income streams are smaller than the main source of income, lets you have something to bolster your savings in the meantime and adds to your chances of recovering faster from losing your main source of income. Additionally, job security is an illusion. If the recent economic turmoil has shown us anything, it’s definitely shown that no job is entirely security, and no company or business is bulletproof. People might fight against the idea of building multiple income streams because they have a false sense of security in their job – but the best way to have a real sense of security is to not rely on one sole source of income. Five or even ten years ago, building multiple income streams would have been much more difficult than it is today. 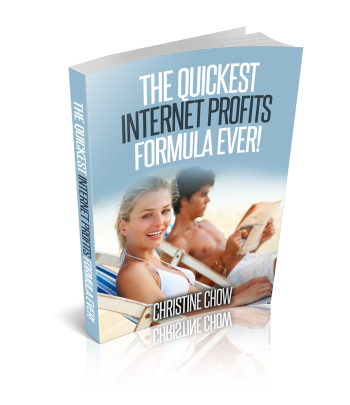 The internet is an amazing tool that can be put to great use in your quest to build multiple income streams – there are hundreds of marketing, business, and investment opportunities available that wouldn’t have been there a few years ago. Start educating yourself on how to build multiple income streams now, for the sake of your family. 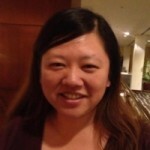 This entry was posted in Blog, Online Home Based Business and tagged home based business, multiple income streams on August 6, 2011 by Christine Chow.